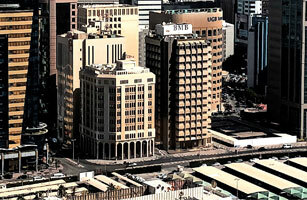 Manama, Bahrain (29 April 2006) – BMB Investment Bank (“BMB”) announced today its first quarter results for 2006 with a strong operating income of US $5.1 million. After accounting for taxes and other items, net income for the first three months of the year stood at US $2.5 million as compared to US $7.8 million for the whole of 2005. Income from investments continued to play a major part in the Bank’s profitability, standing at just over US $5 million at the end of the first quarter. Furthermore, a positive turnaround in foreign exchange asset revaluation has resulted in a healthy increase in foreign exchange income which stood at just over US $0.7 million.